Alternate, sustainable energy sources are gaining increased attention from chemists, physicists and engineers, as mankind realizes the limited availability and adverse environmental impacts of burning fossil fuels. Solar cells have great potential to be used as a sustainable and green energy source for the future. In this regard a prototype of a nano solar cell containing the Mycobacterial channel protein MspA, as the matrix for vectorial electron transport has been successfully achieved. MspA is an octameric trans-membrane channel protein (i.e. porin) produced by Mycobacterium smegmatis and is one of the most stable porins known so far. Wild type MspA has been successfully isolated, analyzed and purified to obtain crystals. A novel Ruthenium-phenanthroline-viologen-maleimide dye which is a fast vectorial electron transporter, has been synthesized, purified and successfully bound to the terminal end of wild type MspA, via the cysteine-maleimide bond. The dye-protein complex has then been adsorbed onto TiO2 plates and subjected to incident sunlight. The protein appeared to be stable under the incident wavelength and a steady current is observed. A 1% incident photon conversion efficiency of sunlight into current by the MspA-dye complex has been achieved so far. This finding marks the first ever evidence of a ‘protein nano solar cell’. Future developments to enhance the efficiency of the system are proposed. M.Sc in Chemistry from OU with 4 years of teaching experience, specialized in "Organic Chemistry". Healthcare consultant with exhaustive experience in pharmaceutical and healthcare consulting, including quantitative and qualitative analytics. Type of projects executed include analytics and research for Strategic support (Outcomes and KPI designing and measurement), Sales force effectiveness (SFE), Market assessment, Epidemiology services, Pipeline overview, Sales analytics. Executed the Virtual Analyst Support (VAS) offering for one of the geographies. VAS was a project providing cross functional analytics support to key stakeholders of the Pharma MNC. PROJECT on "Marketing and Promotion of Lab Water purification system i.e Arium 611VF"
Vishnumaya was born in Gorakhpur, India. 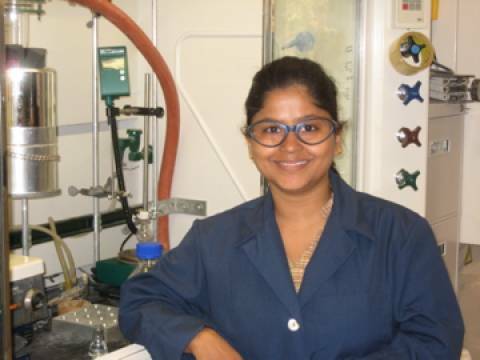 After completing her graduation and post-graduation from Gorakhpur University, she moved to the Indian Institute of Technology, Kanpur, where she completed her Ph.D. on the design and development of new organocatalysts for enantioselective Aldol and Michael reactions from the group of Professor Vinod K. Singh in January, 2009. Then she immediately moved to Berkeley, where she started her postdoctoral research at the University of California, Berkeley in the group of Professor Richmond Sarpong. 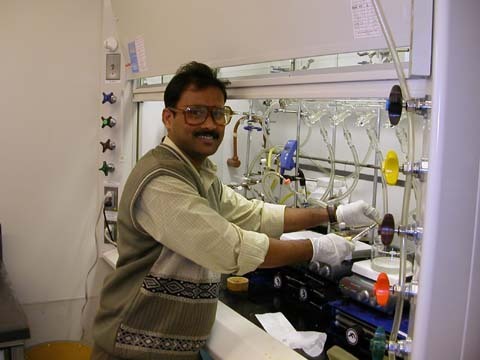 Basvoju A Bhanu Prasad obtained his B.Sc from Lal Bahadur college, Warangal then moved to the University of Hyderabad, Hyderabad to persue his M. Sc and M. Phil in general chemistry. Before coming to the University of California, Berkeley as post doc in Professor Richmond Sarpongs group in August 2004, he worked for Ph.D degree at IIT Kanpur, India under the supervision of Professor Vinod K. Singh. Alakesh was born July 23, 1977 in Midnapore, West Bengal, India. After completing his undergraduate studies from Midnapore College, he decided to move to BHU Varanasi, where he received his Master of Science with in Chemistry. Subsequently, he moved to the IIT Kanpur in 2000 for his doctoral studies in the group of Professor Vinod K. Singh in the area of enantioselective C-C bond forming reactions. After completing his Ph.D. thesis in 2006, he immediately started as a postdoctoral research at the UC Berkeley with Professor Richmond Sarpong where he worked in the area of total synthesis of "miscellaneous" class of Lycopodium alkaloids. 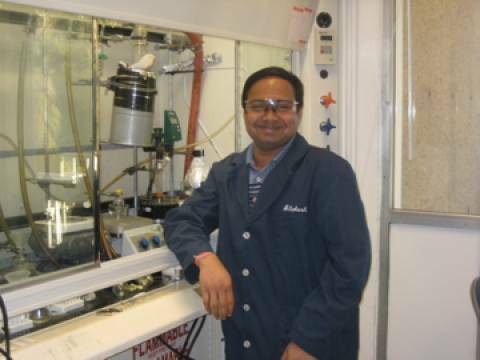 In December, 2009 he left UC Berkeley and join IISER Bhopal as an assistant professor of Chemistry. Since then his group is actively engaged in development of methodologies for C-C bond-forming reactions that took advantage of Lewis-acid catalyzed processes, various oxidative coupling reactions, C-H activations, and enantioselective methodologies. In November, 2013 he was promoted to the rank of Associate Professor in the same Department. Currently, his research group is working on total synthesis of various architecturally complex and biologically active Indole alkaloids. Associate Professor (Nov. 2013 - till date), Department of Chemistry, Indian Institute of Science Education and Research Bhopal, INDIA. 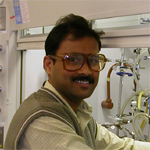 Assistant Professor (Dec. 2009 - Nov. 2013), Department of Chemistry, Indian Institute of Science Education and Research Bhopal, INDIA. 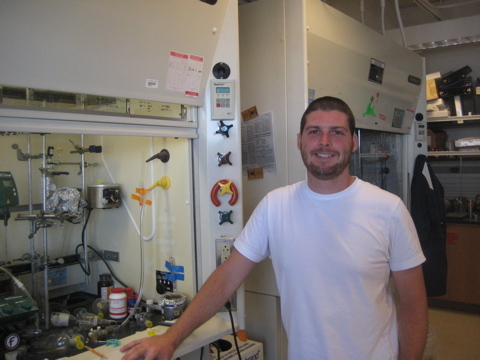 Post-Doctoral (Oct. 2006 - Dec. 2009), Department of Chemistry, University of California, Berkeley, CA, USA. Advisor : Prof. Richmond Sarpong . 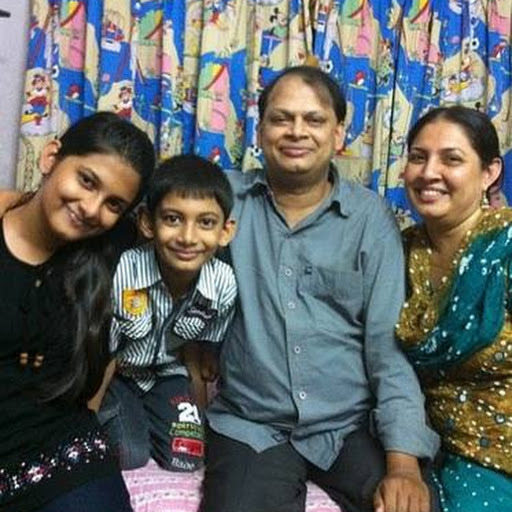 Alakesh Bisai was born in Midnapore, West Bengal, India. After completing his undergraduate studies from Midnapore College, he decided to move to B.H.U, Varanasi, where he received his Master of Science with in Chemistry. Subsequently, he moved to the Indian Institute of Technology, Kanpur in 2000 for his doctoral studies in the group of Professor Vinod K. Singh in the area of enantioselective C-C bond forming reactions. After obtaining his Ph.D. in 2006, he immediately started as a postdoctoral research at the University of California, Berkeley with Professor Richmond Sarpong. 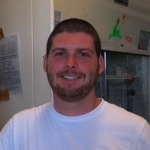 The focus of his research is the total synthesis of "miscellaneous" class of Lycopodium alkaloids. '10th CRSI-RSC Joint Symposium' and '18th National Symposium in Chemistry - CRSI 2016' organized by Punjab University and INST Mohali, (4th - 7th February, 2016); Talk Title: "Total Syntheses of Biologically Active Complex Alkaloids"
'Pfizer Endowment Lecture' at Department of Organic Chemistry, IISc Bangalore (19th - 20th January, 2016); Talk Title: "Total Syntheses of Architecturally Complex Indole Alkaloids of Biological Relevance"
Department of Chemical Sciences, IISER Kolkata (4th Jnuary, 2016); Talk Title: "Dynamic Kinetic Asymmetric Transformations (DYKAT) as a Strategic Platform for Total Syntheses of Natural Products"
'New Frontiers in Chemistry- from Fundamentals to Applications' at Department of Chemistry, BITS Goa (NFCFA - 2015) (18th - 19th December, 2015); Talk Title: "Dynamic Kinetic Asymmetric Transformations (DYKAT) of a Mixture of Allylesters and Allylcarbonates: Total Syntheses of Indole Alkaloids Sharing Quaternary Stereocenters"
'Inter IISER Chemistry Meet - 2015' at Department of Chemistry, IISER Thiruvananthapuram (IICM-2015) (4th - 6th December, 2015); Talk Title: "Exploring the Dynamic Kinetic Asymmetric Transformations (DYKAT) of a Complex Mixture: Total Syntheses of Indole Alkaloids Sharing Quaternary Stereocenters"
'IISERB - Nanyang Technological University (NTU) Symposium' at Department of Chemistry, IISER Bhopal (FICS-2014) (18th May, 2015); Talk Title: "Asymmetric Total Syntheses of Cyclotryptamine and Ergot Alkaloids"
'Frontiers in Chemical Sciences (FICS)' at Department of Chemistry, IIT Guwahati (FICS-2014) (4th- 6th December); Talk Title: "Enantioselective Construction of Vicinal All-Carbon Quaternary Stereocenters via Sequential Decarboxylative Allylations: Total Synthesis of (+)-Folicanthine"
INDO-GERMAN Conference on "Bioinspired Chemistry" (IGCBIC-2014) (10th-13th September), Indian Institute of Science (IISc), Bangalore; Talk Title: "Asymmetric Total Syntheses of Dimeric Indole Alkaloids of Biological Importance"
School of Chemistry, University of Hyderabad (UoH), INDIA (26th August, 2014); Talk Title: "Synthetic Approaches to Biologically Relevant Bis-Indole Alkaloids with Complex Architecture"
Nature Inspired Initiatives in Chemical Treands (NIICT-2014) (2nd - 5th March, 2014), CSIR-IICT Hyderabad, INDIA; Talk title: "Expeditious Approach to the Bis-cyclotryptamine Alkaloids Utilizing a Catalytic Double Enantioselective Alkylations"
4th INDIGO Ph.D. Research Conference and Intensive Course (6th - 10th October, 2013), Ludwigshafen (BASF) & University of Regensburg, Germany. Talk title: "Construction of Vicinal Quaternary Stereocenters via a Catalytic Double Diastereoselective and Enantioselective Tsuji Allylations"
INDO-GERMAN Conference on "Complex Chemical Systems" (3rd-5th December, 2012) Indian Institute of Science Education and Research Bhopal, INDIA. Talk title: "Unified Approach to the Indole Alkaloids Sharing Vicinal All-Carbon Quaternary Stereocenters"
Young Scientist Research Meeting (YSRA) (26th-27th November, 2012) by the BARC, DAE, Mumbai, INDIA. Talk title: "Strategies and Tactics towards the Total Synthesis of Icetaxane and [6,5,6]-abeo-Abietane Skeleton"
XV NOST-Organic Chemistry Conference (NOST-OCC) (10th-13th October, 2012) Jaypee Palace Hotel, Agra, INDIA. Talk Title: "Intramolecular Dehydrogenative Coupling (IDC) Strategy for the Synthesis of Indole Alkaloids". Advances in Pharmaceutical Research and Chemistry (22nd-24th March, 2012) National Institute of Technical Teachers' and Training (NITTTR) Bhopal, Shamla Hills, INDIA. Talk Title: "Intramolecular Dehydrogenative Coupling (IDC) of sp2 C-H and sp3 C-H Bonds"
3rd INDIGO Ph.D. Research Conference and Intensive Course (12th - 16th February, 2012) Mahabalipuram, Chennai, INDIA. Talk Title: "Intramolecular Dehydrogenative Coupling (IDC) of sp2 C-H and sp3 C-H Bonds: Convenient Approach to Natural Products having all Carbon Quaternary Center". Department of Chemistry, University of Bath, UK (28th September, 2010) during UK visit organized by Royal Society of Chemistry. Talk title: "Synthesis of Architecturally Complex Lycopodium Alkaloids via Oxidative Bond-Forming Reactions". Department of Chemistry, Cardiff University, UK (27th September, 2010) during UK visit organized by Royal Society of Chemistry. Talk title: "Unified Strategy toward the Total Syntheses of the complex 'Miscellaneous' Lycopodium Alkaloids". Gregynog Synthesis Workshop, UK (24th - 26th September, 2010) organized by the Organic Division of Royal Society of Chemistry. Talk title: "Oxidative Bond-Forming Strategy in the Context of the Syntheses of Lycopodium Alkaloids".